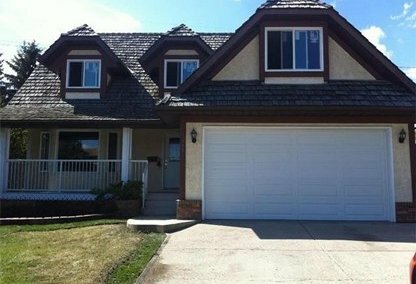 Find the newest Deer Run homes for sale & real estate listings in Calgary below! Deer Run is a community that is a lot similar to other neighborhoods in Calgary, it is also located down the bend of Bow River. For information about Deer Run neighbourhood properties for sale or to schedule a personal home showing call your Deer Run Calgary real estate team today. Deer Run housing market statistics: As of April 22, 2019 there are currently 17 properties for sale in Deer Run listed as active, with an average asking price of $456,752. The highest-priced property is $582,888; the lowest priced property can be purchased for $369,900. Deer Run neighbourhood listings have an average price of $290 per square foot, based on listings with 4.2 bedrooms, 3.2 baths, and 1,642 square feet of living space. Thinking of selling or buying a home in Deer Run Calgary? Call Justin Havre at RE/MAX First - 403.217.0003. Our community of Deer Run real estate agents will help you navigate the Deer Run housing market in Calgary. Ward 14 Alderman Peter Demong represents the Deer Run community in the Calgary City Council. Deer Run was established in 1978, but the land where this neighborhood is currently located was annexed by the City of Calgary in 1961. In 2000, the residents of the community had a median household income of $76,038. In 2006, 5,765 was the reported population in the area. 6.3% of the neighborhood is comprised of residential condos and apartments, and 14% of the houses were for renting purposes. There are mostly single-family residential homes in the neighborhood. The neighbourhood of Deer Run has access to a lot of green fields and local amenities. It has a spacious community centre for its residents. The community is served by the Deer Run elementary public school. Other schools in the nearby area include Sam Livingston, Don Bosco, St. Bosco, Wilma Hansen, Fairview, Ecole St. Mathew, Lord Beaverbrook, and Bishop Grandin. Several recreational activities are provided for the neighbourhood by Lake Sikome and Fish Creek Park, including hockey rinks, soccer fields and baseball diamonds. Deer Run's local community centre provides a gym, kitchen, racquetball court, fitness facilities, meeting rooms, programming, and other sports for individuals or groups. Deer Run real estate has pathways that link it to the Bow River pedestrian pathways and has bike access into the city. Libraries are plentiful near Deer Run homes for sale and include Shawnessy Branch, Fish Creek Branch, Southwood Branch, Glenmore Square Branch, and Alexander Calhoun Branch. Thinking of buying or selling a home in Deer Run? Let our local real estate agents help guide you through the purchase of your next home, or to expertly negotiate the sale of your current home. As local Deer Run real estate agents, we're experts on the market dynamics unique to the Deer Run real estate market. We'll get to work for you today! Contact Justin Havre at RE/MAX First - 403.217.0003 to learn more about buyer or seller representation. Planning to sell your Deer Run home? 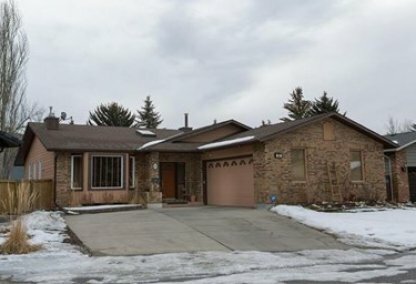 Check out our free home evaluation, where you can instantly price your Calgary home price your Deer Run home online, in minutes!